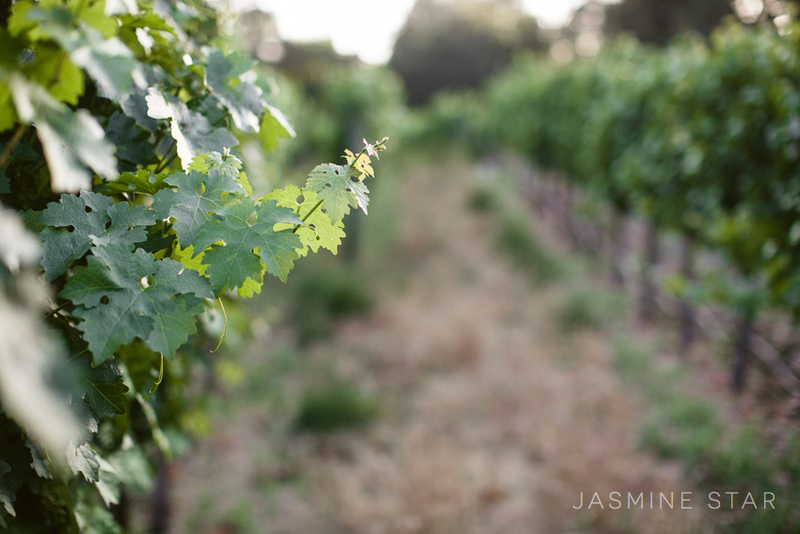 The sun shined brightly over endless vineyard acres and the ancient oak trees swayed in the distance, stretching their slender arms toward the cloudless sky. 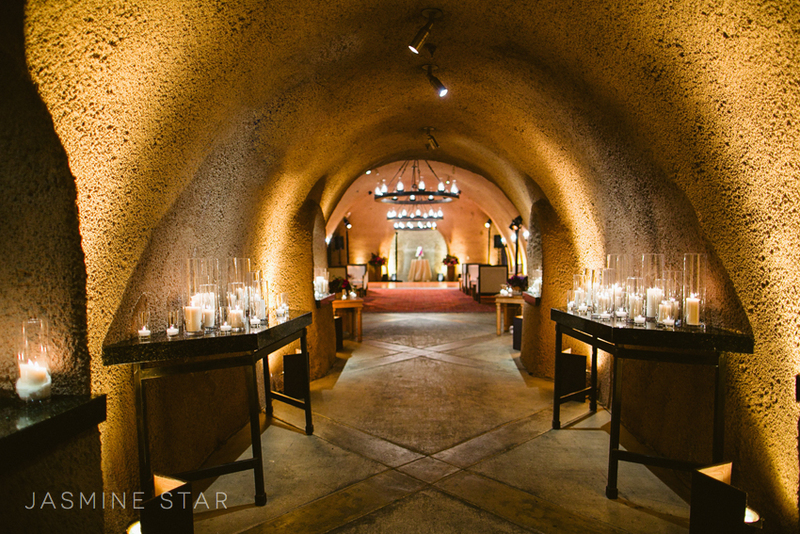 The path leading to Calistoga Ranch was sprinkled with grape leaves, ultimately leading to Kimberly’s suite where echoes of Pharrell’s Happy ricocheted off the wooden panels of the patio. 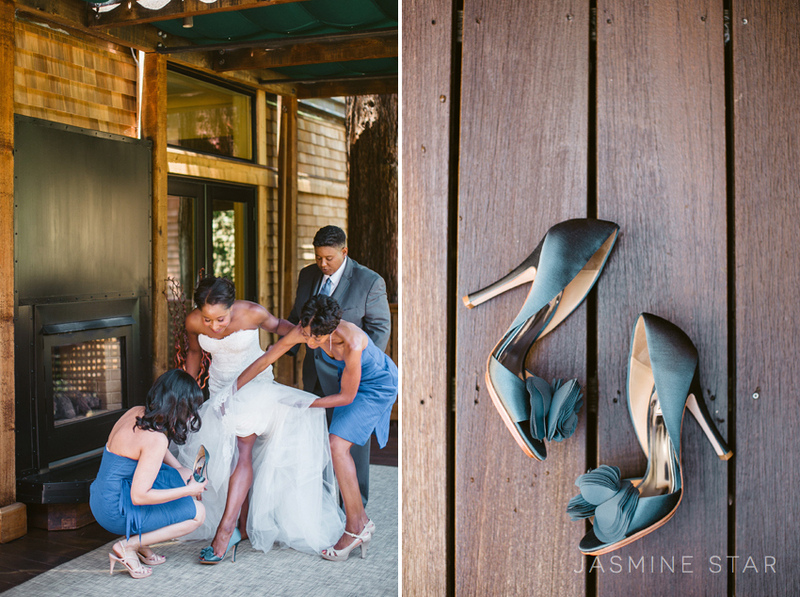 She unboxed her blue shoes, donned a string of pearls Steve surprised her with that morning, and lightly wrapped her veil around her chocolate colored shoulders. 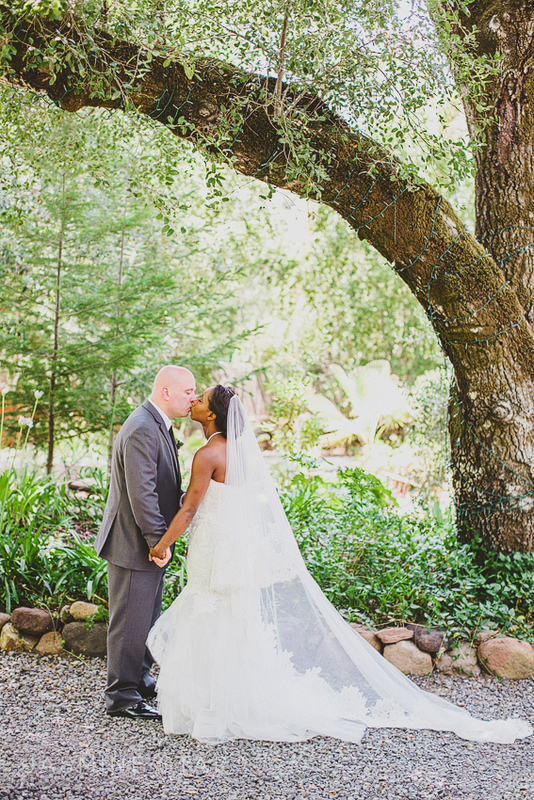 When Kimberly and Steve saw each other from a distance on their wedding day, tears fell as they finally embraced under a canopy of trees. 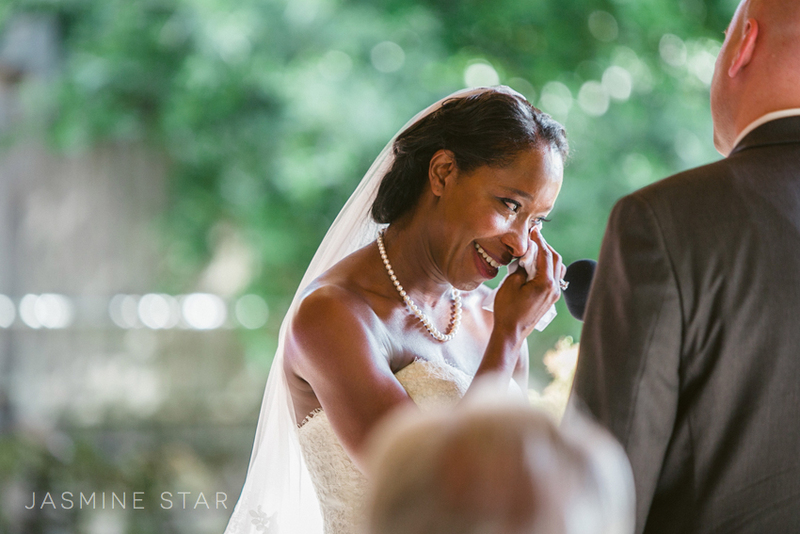 They spent their entire lives for that moment, a space in time when they realized Forever began in that instant. 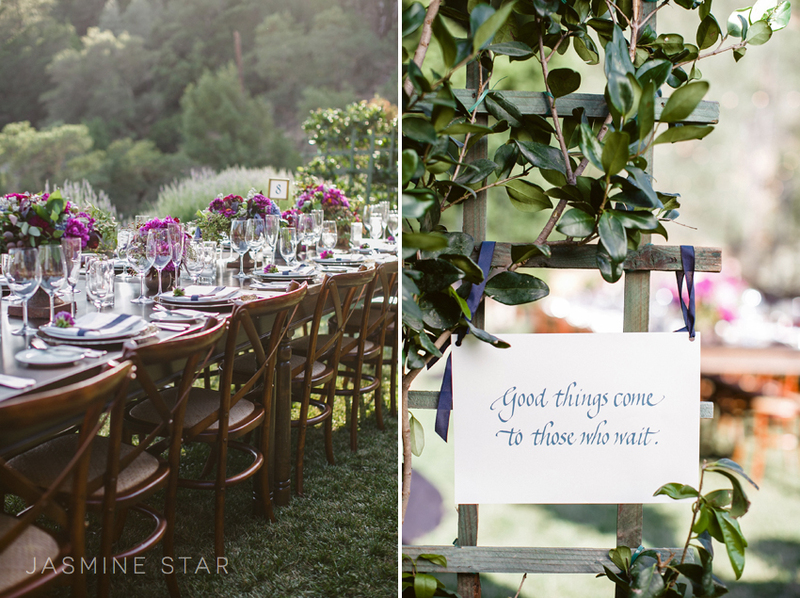 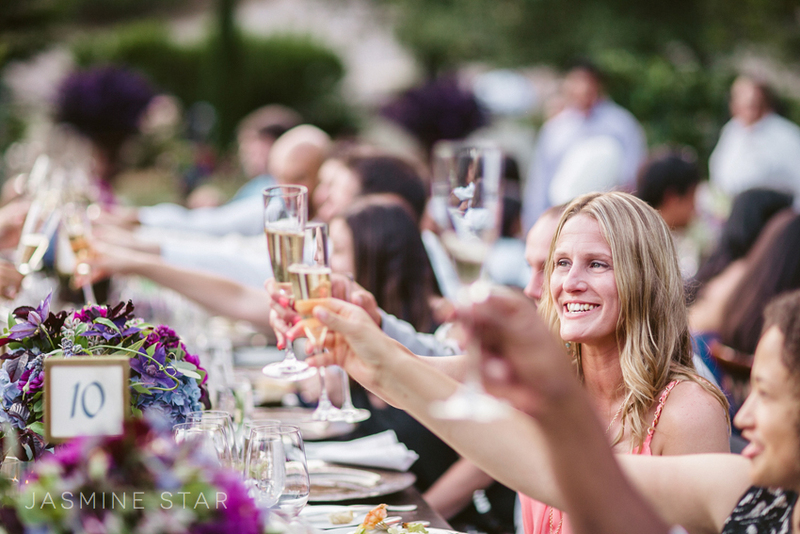 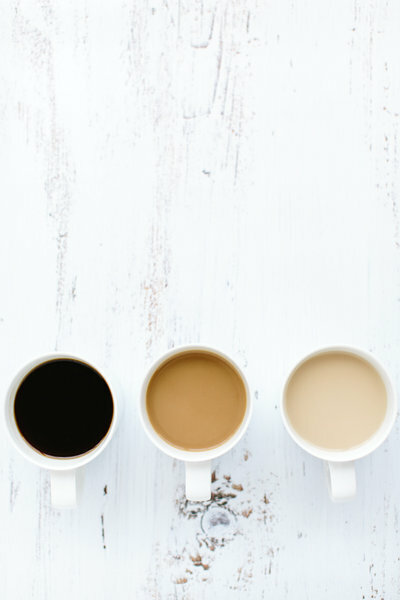 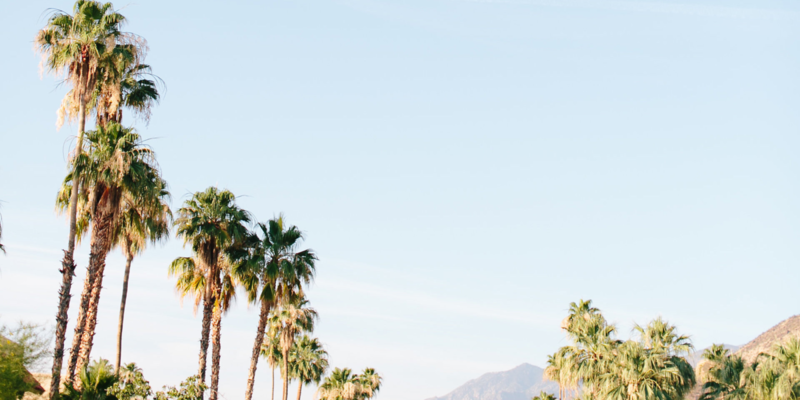 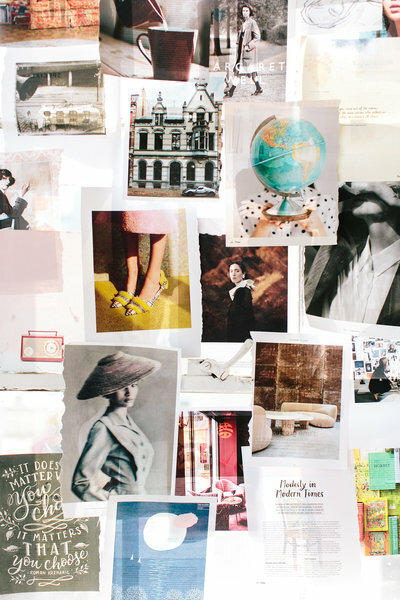 Friends and family from around the United States gathered to wish the sweet couple well, and while they drank, dined, and danced under a pastel sky at sunset, toasts were made in their honor. 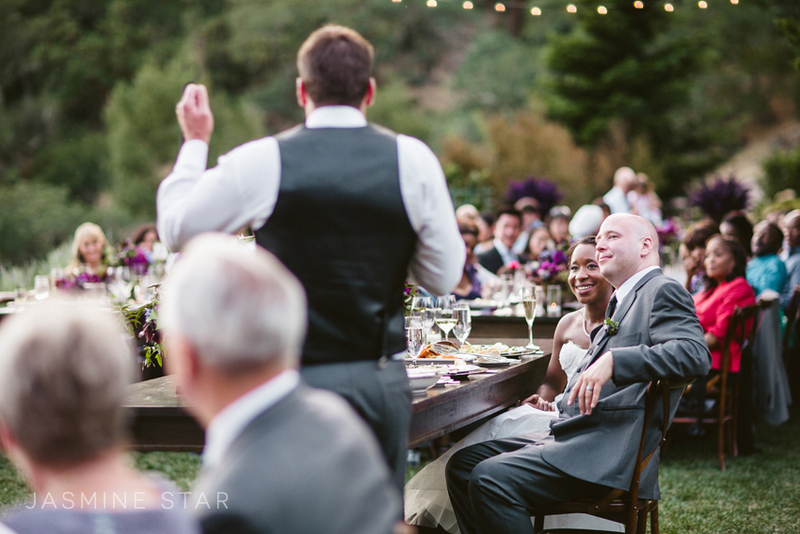 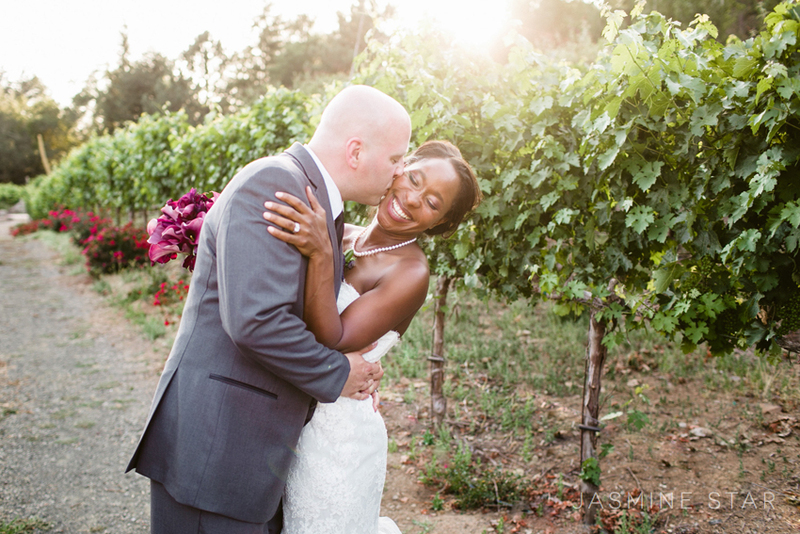 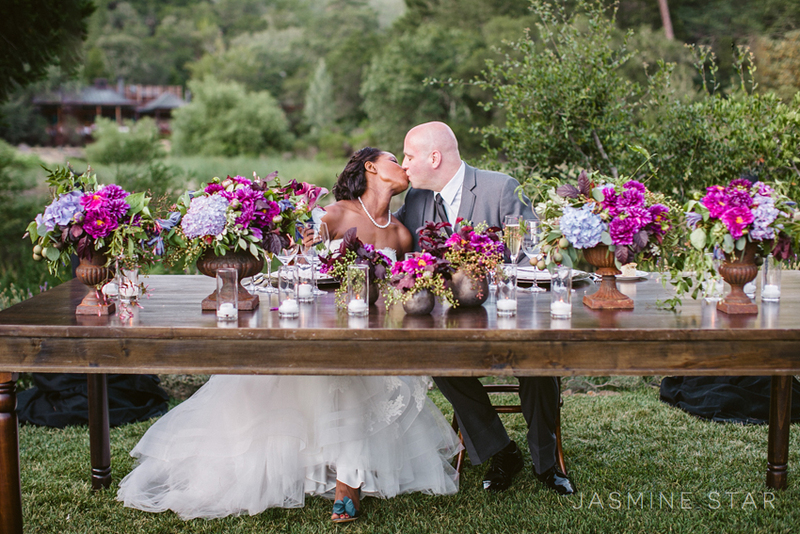 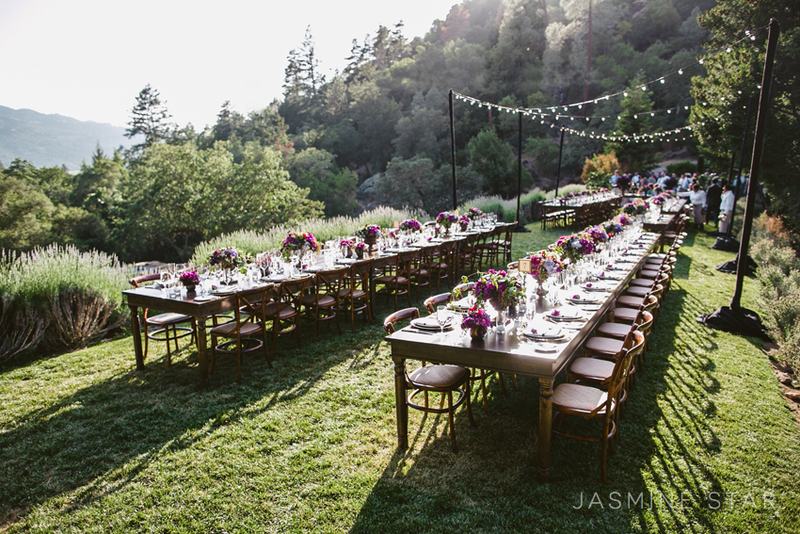 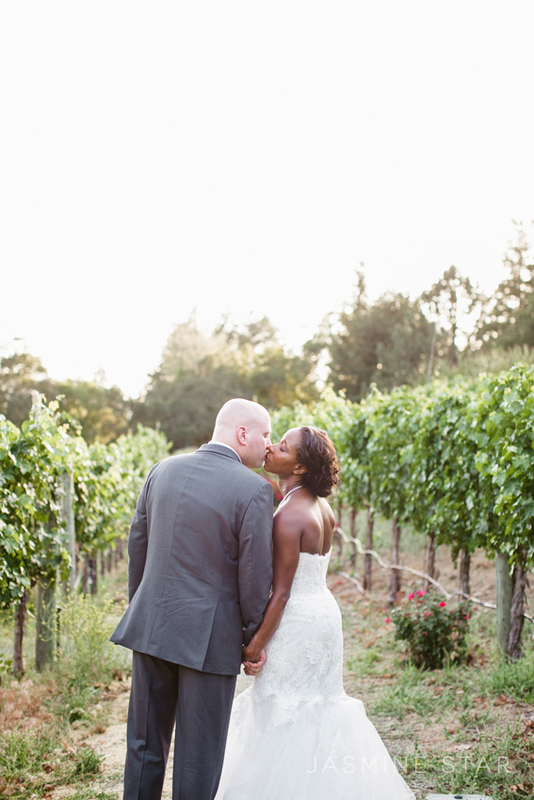 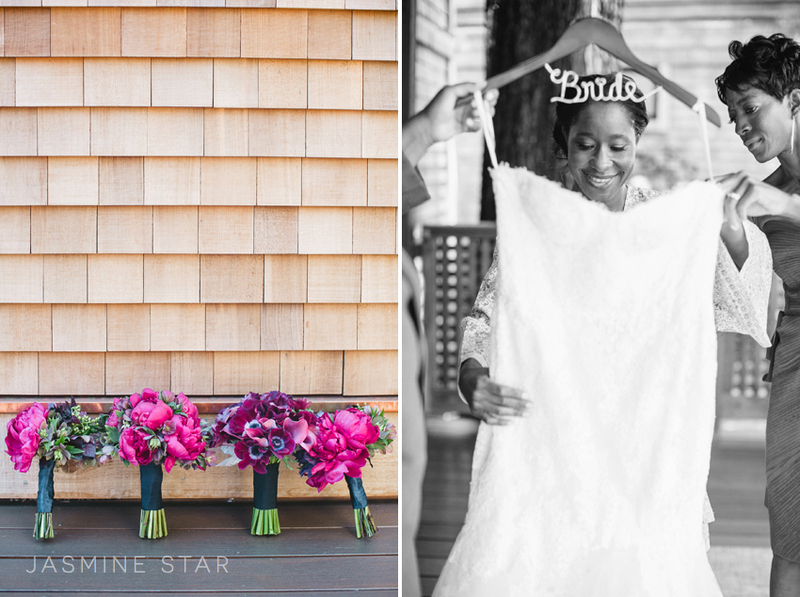 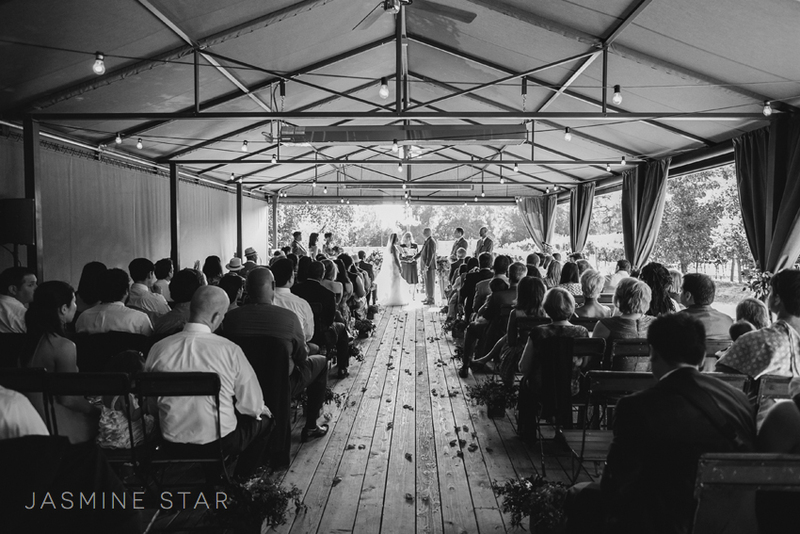 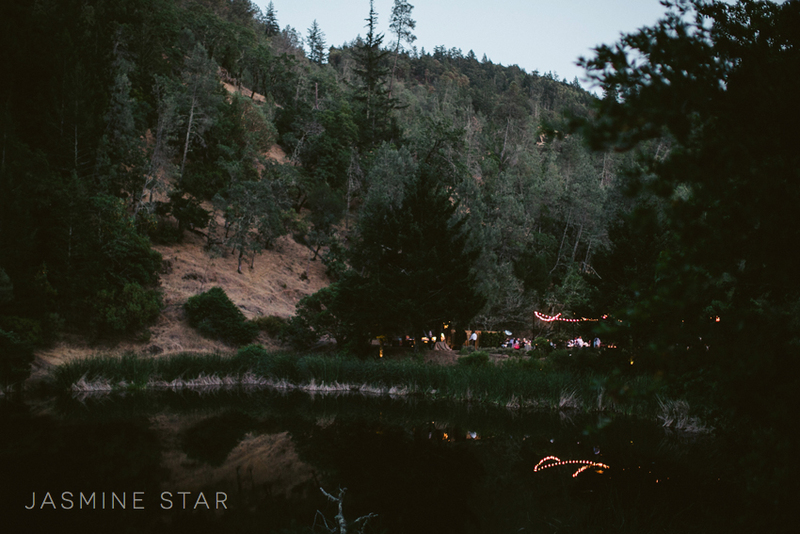 Calistoga Ranch was a perfect place for their wedding as it felt like an extension of their hearts, encouraging everyone to join them as they became one. 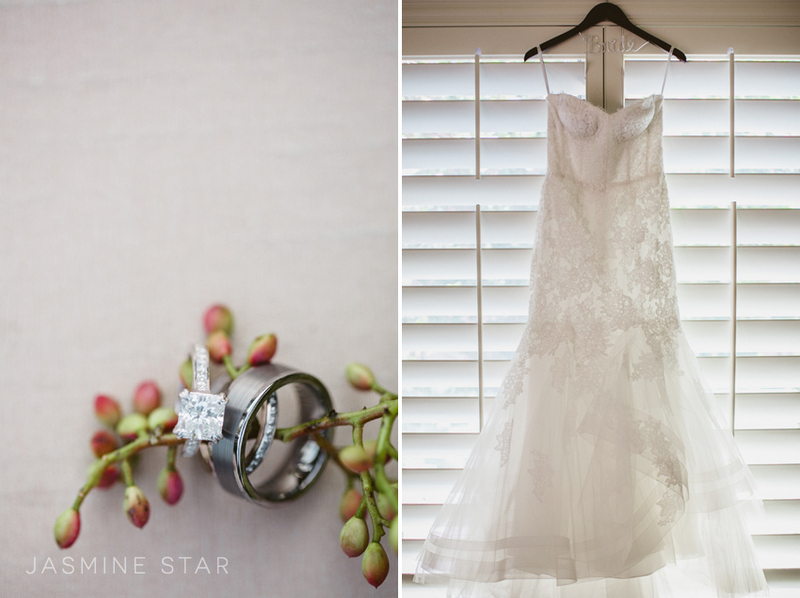 One of the most impressive things about Kimberly is her impeccable taste…she wore a stunning Monique Lhullier wedding dress and Badgley Mischka blue wedding shoes…they were perfect! 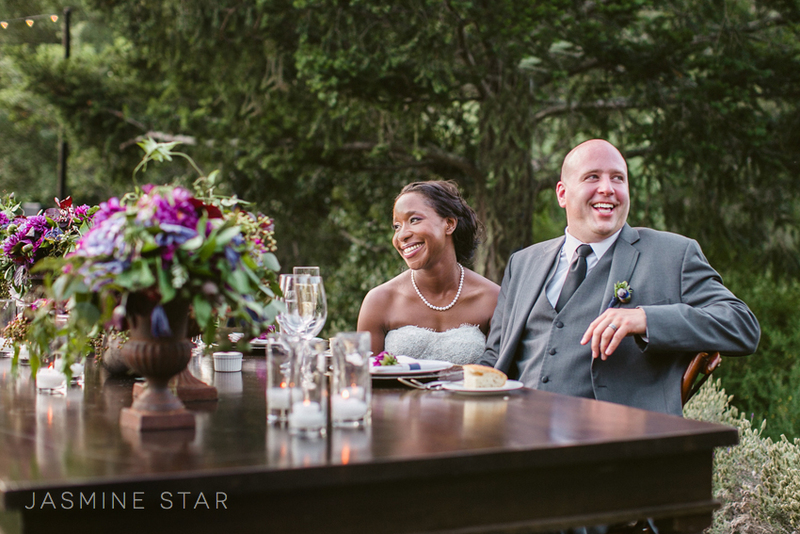 Kimberly and Steve opted to see each other before the ceremony, which provided plenty of time for wedding pictures. 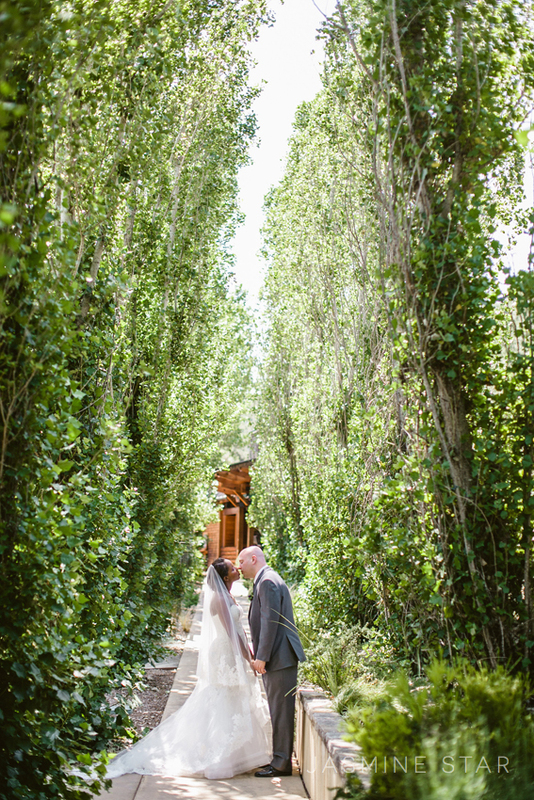 It was awesome because Calistoga Ranch sits on 157 acres, so there were SO many places I wanted to shoot…it was a wedding photo paradise! 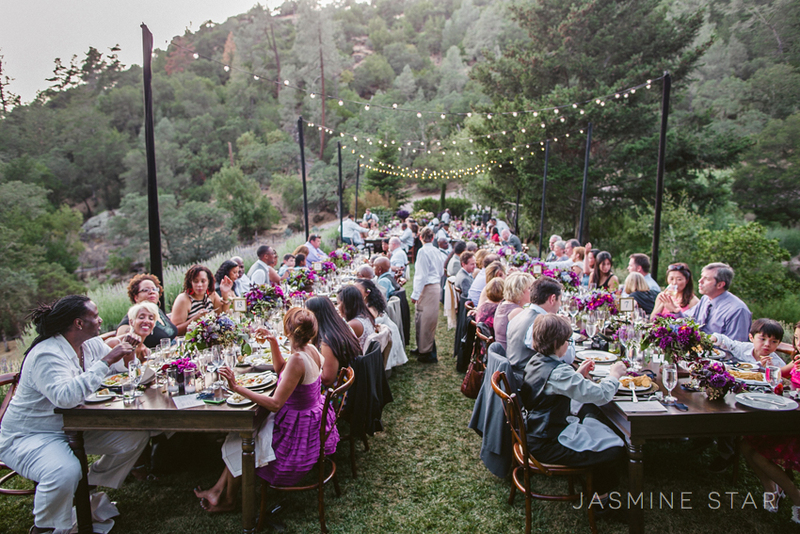 The wedding ceremony and reception were flawlessly orchestrated by Simone Lennon of Soirees by Simone. 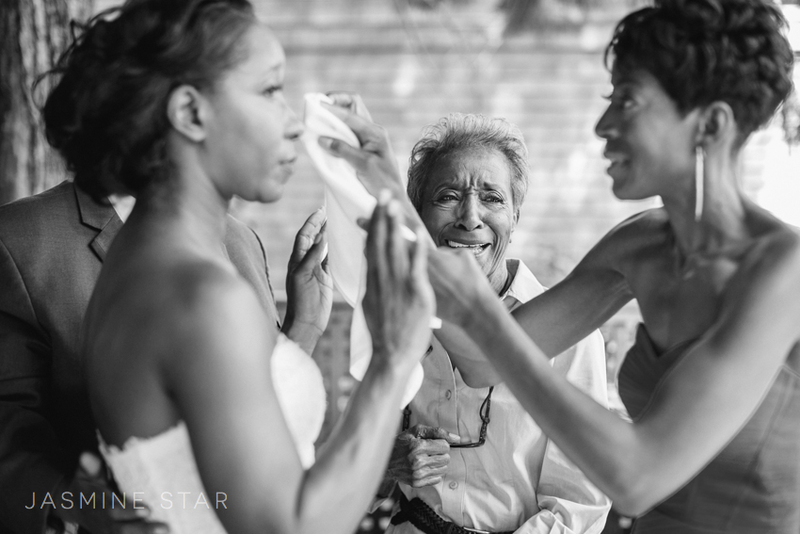 She assembled a great team to bring the bride’s vision to life, and I couldn’t have been happier documenting their talent! 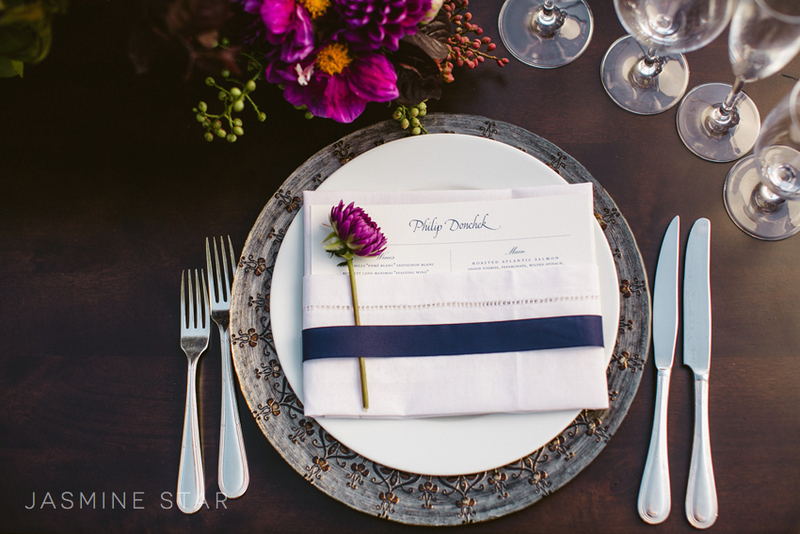 I was particularly smitten with the floral decor by Atlier Joya…simply divine! 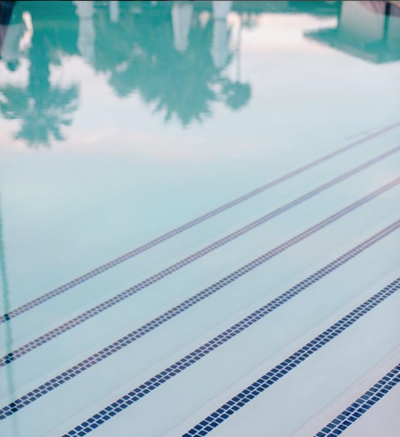 Besides being a stunning day, it was also HOT. 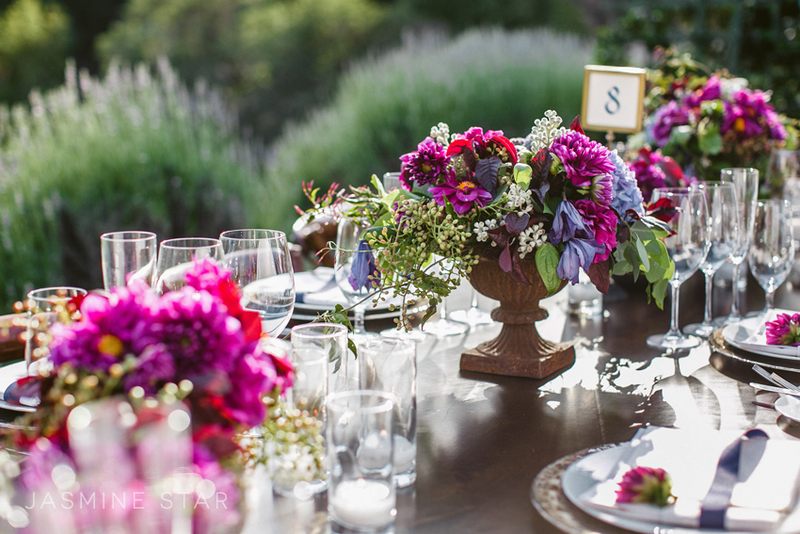 It reached 98-degrees, but the creative team worked incredibly hard to keep the flowers from wilting or the decor to lose any vibrancy…they were troopers! 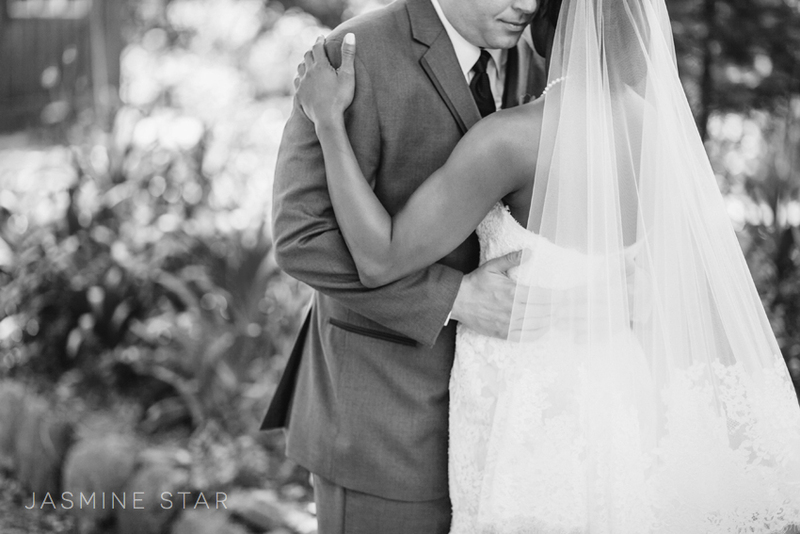 Everything worked out beautifully because of their dedication. 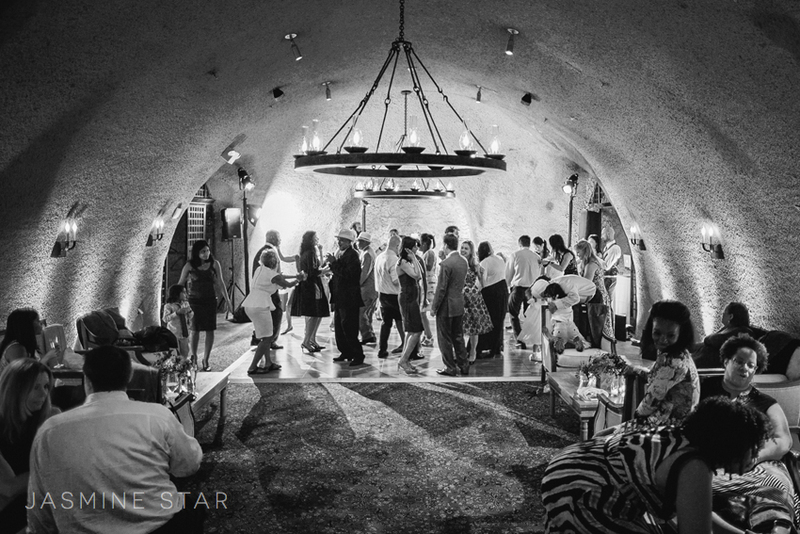 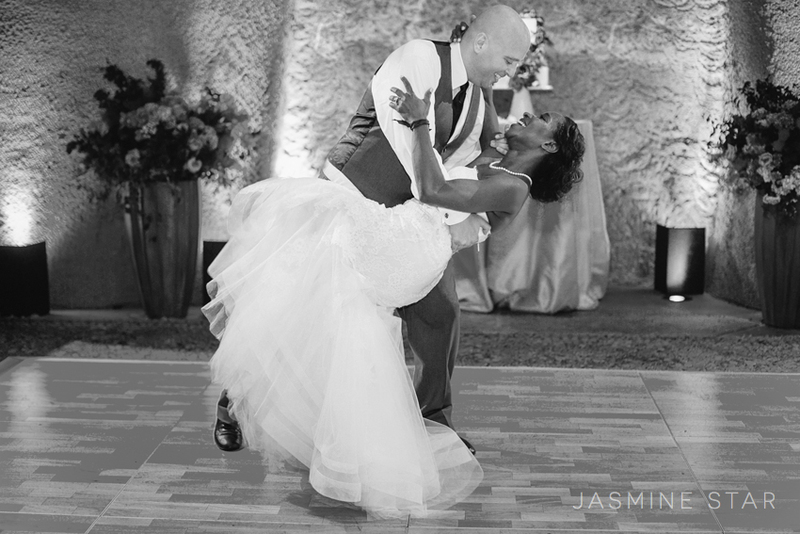 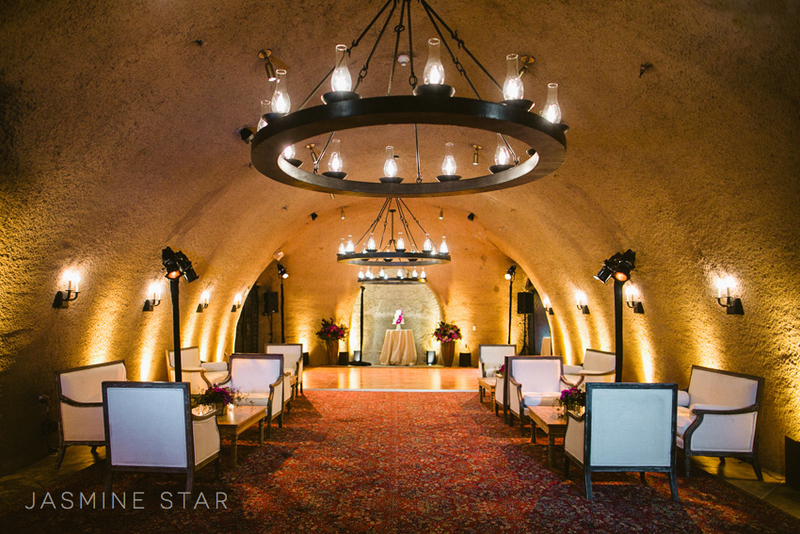 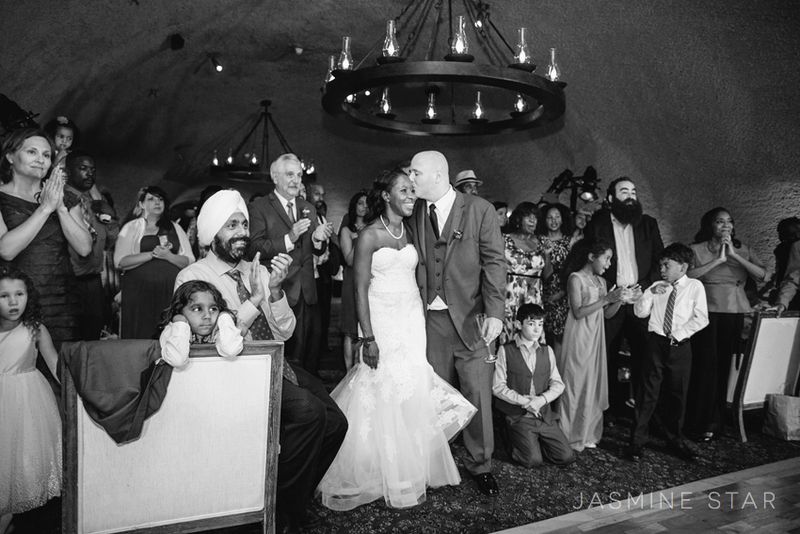 After dinner under the stars, the guests walked to the Calistoga Ranch Wine Cave to dance the night away…but not before Kimberly and Steve opened the dance floor with a perfectly choreographed First Dance!